Our friendly staff is ready to assist you. Here’s what you can expect..
We have the right facilities, staff, and testing to ensure your engines are professionally dialed-in, tuned, and simply ready to be the best engines you ever had the pleasure to throttle. Your engine is properly broke in. We take the engine, cams, and parts through a proper break-in period so you know its done right for you by our engine professionals. We verify the Power and Torque your engine is making. 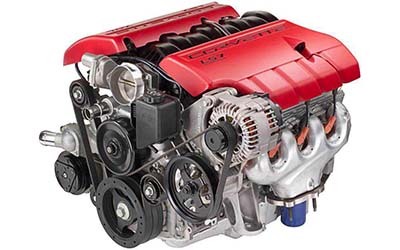 We verify Engine Calibration and Performance so your engine is dialed in and ready to run. Ensure Leak Free. Nobody like surprises, so we test everything so you can depend on your engines. Adjusted and Fine Tuned. One last tweak in our continued attention to detail to give you the reliable engines you expect. They don’t say Sterling Performance for nothing. There are no short cuts to being the best. Removal of the engine assembly for teardown. All external components removed and inspected for excessive wear. Cylinder heads, oil pan removed – block, heads disassembled for steam cleaning and inspection. All casings magnafluxed to verify structural integrity noting what components must be repaired or replaced. Engine block machining including boring and honing. Crankshaft machining including grind and micropolish bearing surfaces, chamfer oil passages. Connecting rods machined, straightness and twist checked to confirm within specs – pistons mated to rods (new rings installed during final assembly). Cylinder head(s) machined including resurfacing, remachining valve guides, valve seats recut (3 angle cut), install new high temp valve stem seals, replace needed valve springs. Install new camshaft/bearings (new lifters installed at final assembly). Engine reassembled, new freeze plugs and oil galley plugs installed, new main and rod bearings installed. Install new timing chain/belt and related gears. Bench testing on our QT-100 SimTest engine testing machine for proper oiling. Valves adjusted and compression checked. Seals and gaskets inspected for proper sealing with any leaks repaired. Final engine assembly (components that need replacement or repair are brought to your attention, replaced if approved by you). Engine re-installed, final mechanical checks and adjustment performed followed by a thorough road test. When you come to pick up your vehicle, we’ll go over your bill and answer any questions you may have. In addition, we’ll instruct you on how to properly break-in your newly remanufactured engine and when to get your first oil change. We use only high-quality or OEM parts in our rebuilds and each engine we rebuild comes with a 12 Month/Unlimited Mileage Warranty. For more protection, extended warranties are available.